Cytomegaloviruses (CMVs) present singular features that are particularly advantageous for human vaccine development, a current medical need. Vaccines that induce neutralizing antibodies are among the most successful and efficacious available. 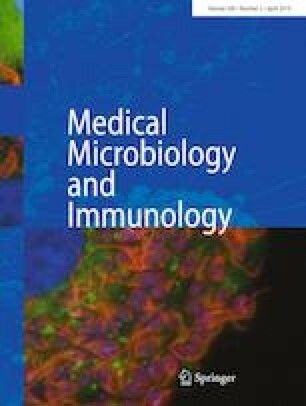 However, chronic and persistent human infections, pathogens with high variability of exposed proteins, as well as tumors, highlight the need for developing novel vaccines inducing strong and long-lasting cellular immune responses mediated by effector or effector memory CD8+ cytotoxic T lymphocytes. CMVs induce the most potent CD8+ T lymphocyte response to a pathogen known in each of their hosts, maintain and even increase it for life for selected antigens, in what is known as the ever growing inflationary memory, and maintain an effector memory status due to recent and repeated antigen stimulation that endows these inflationary T lymphocytes with superior and faster protective potency. In addition to these CMV singularities, this family of viruses has two more common favorable features: they can superinfect an already infected host, which is needed in face of the high CMV prevalence, and they can harbor very large segments of foreign DNA at many different genomic sites. All these properties endow CMVs with a singular potential to be used as human vaccine vectors. Current developments with most of the recombinant CMV-based vaccine candidates that have been tested in animal models against clinically relevant viral and bacterial infections and for their use in tumor immunotherapy are reviewed herein. Since CMV vectors should be designed to avoid the risk of disease in immunocompromised individuals, special attention is also paid to attenuated vectors. Taken together, the results support the future use of CMV-based vaccine vectors to induce protective CD8+ T lymphocyte responses in humans, mainly against viral infections and as anti-tumor vaccines. This article is part of the Special Issue on Immunological Imprinting during Chronic Infection. The work in the laboratory was supported by Spanish Ministerio de Economía y Competitividad grants SAF2013-48754-C2-1-R and SAF2016-79607R and by Comunidad de Madrid grant B2017/BMD-3731 to M.D.V. and cofinanced by the European Regional Development Fund and the European Social Fund. A.C.M. was supported by Ayuda para contrato predoctoral para la formación de doctores 2014 BES-2014-068148 from Spanish Ministerio de Economía y Competitividad. C.R.R. was supported by Ayuda para la contratación de investigadores predoctorales PEJD-2017-PRE/BMD-4692 from Spanish Consejería de Educación, Juventud y Deporte de la Comunidad de Madrid and cofinanced by the European Social Fund and the Youth Employment Initiative, and by Contrato predoctoral para la Formación de Profesorado Universitario FPU17/01914 from the Spanish Ministerio de Ciencia, Innovación y Universidades. Institutional grants from the Fundación Ramón Areces and Banco de Santander to the CBMSO are also acknowledged.